From Reagan to Trump, the American populace has had to put up with its fair share of TV/movie celebrities-turned-politicians in the past; however in coming years, we can expect to witness the reverse, as former President Barack Obama and ever-popular First Lady Michelle team up with Netflix in an exciting new partnership. Although news that the deal was in motion was first announced in March of this year, viewers will have to wait until at least 2019 to binge content featuring the lovable ex-prez and his equally adored wife. 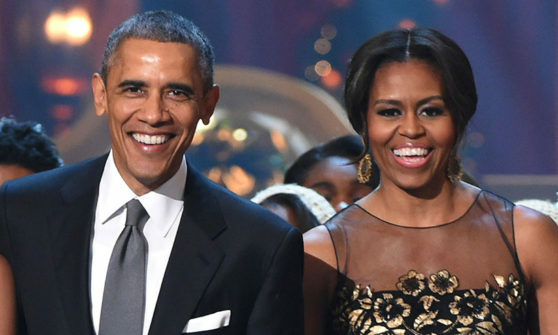 After partnering up with the now-iconic streaming giant, Barack and Michelle officially formed their production company, Higher Ground Productions (a fitting title for the ever-wholesome and dignified couple). When it comes to what, exactly, the programming will consist of, the details remain rather hazy. Even so, vague comments released in late May by Netflix as well as by the Obamas suggest that it may well run the gamut, from scripted series to documentaries. Clearly, their aim is not to provide cheap entertainment—if you’re picturing something similar to Bob’s Burgers, you’re probably way off base— but instead content rich in political or social meaning, as could be expected from a former president. A New York Times article suggested that the premise of one show might by a discussion-style panel, moderated by Barack. The Times also hinted at a possible program where Michelle discusses the causes she championed during her stint as First Lady, such as childhood obesity and nutrition. Whatever the Obamas come out with, I’m confident we will all be watching—not least of all our current president, who may even decide to tweet about it.